Going nuts for guts: New Cooking books! It seems the world is very conscious of health issues in an age where obesity, auto-immune diseases and other chronic conditions are prevalent. The vast number of conflicting information available makes it difficult for people to choose the healthy life-style they want. Not to worry – this selection of books will help you make well-informed choices; they all agree on gut health being a priority to regaining a healthier lifestyle, by choosing to eat for gut health. Smart Baby Cookbook : boost your baby’s immunity and brain development / Lauren Cheney. The Happy Gut : feel-good recipes and remedies for better gut health / Reece Carter. Pure & Simple : a natural food way of life / Pascale Naessens ; translator, Marguerite Storms. 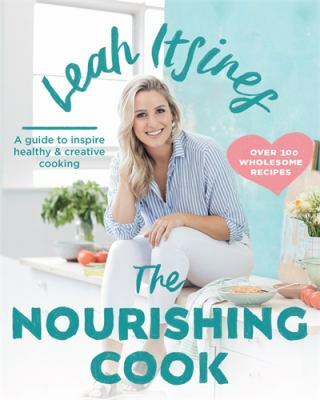 The Nourishing Cook / Leah Itsines. Macros : a wellness and lifestyle guide to transform your body / by Sophie Guidolin. The Ultimate Gutfixx : how to be successful living a plant-based lifestyle / Scott Mathias. The Wicked Healthy Cookbook : free. from. animals. / Chad Charno, Derek Sarno, and David Joachim ; foreword by Woody Harrelson ; photographs by Eva Kosmas Flores. “[This book] takes … plant-based cooking to a whole new level. The chefs have pioneered innovative cooking techniques such as pressing and searing mushrooms until they reach a rich and delicious meat-like consistency. Inside, you’ll find informative sidebars and must-have tips on everything from oil-free and gluten-free cooking to organizing an efficient kitchen”–Amazon.com. The Autoimmune Solution Cookbook : over 150 delicious recipes to prevent and reverse the full spectrum of inflammatory symptoms and diseases / Amy Myers, M.D. The Food Medic : recipes + fitness for a healthier, happier you / Dr Hazel Wallace. The Autoimmune Protocol Made Simple Cookbook : start healing your body and reversing chronic illness today with 100 delicious recipes / Sophie Van Tiggelen.